Timex is bringing production—well, at least a bit of it—back stateside with its new American Documents collection. To celebrate the company’s 165th anniversary and honor Timex’s heritage as an American brand “that democratized timekeeping,” per a spokeswoman, Timex has unveiled its new collection of watches. American Documents includes four watches that showcase “American innovation” as well as “European precision,” a nod to the watch’s use of Swiss movement. The company will produce these watches at its headquarters in Middlebury, Conn.
Each of the watches filled with symbols of Americana, like a leather strap made with cowhide from Minnesota, a case back coin and a crown insert made of aged Waterbury brass (in honor of the company’s original headquarters in Waterbury, Conn.). The Timex logo is surrounded by the outline of the continental United States on the backside of the watch. 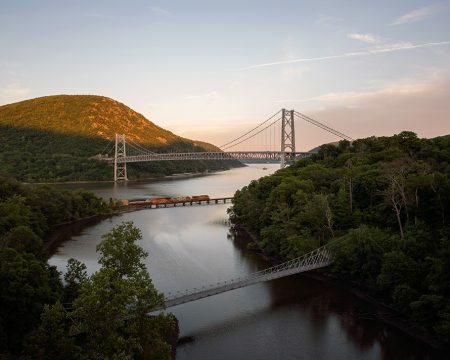 To celebrate the launch of the new collection, Timex also teamed up with photographer Bryan Schutmaat to create a series of photographs that capture America from coast to coast. The shots include Timex’s hometown of Middlebury, the shores of Cape Elizabeth, Maine, the landscapes of Montana’s Glacier National Park, New York’s Fort Montgomery and long winding desert roads in Utah. When a consumer buys one of the watches, they can also download one of Schutmaat’s image for personal use. Domestic production and manufacturing has become a hot-button topic in recent years, particularly given President Donald Trump’s calls for more companies to bring factories back stateside. In recent decades, many companies have moved production of their goods overseas to avoid the rising prices that came from doing so at home. In a 2018 cover story, Adweek took a look at whether keeping factories in America and earning the American-made label was a financial and PR boon for businesses. As an American business with a 160-plus-year history in the U.S., it makes sense that Timex would want to provide its customers an American-made product. However, just four of the company’s watches will be made in the U.S., serving as a reminder that being American-made is a difficult milestone for any business to achieve.